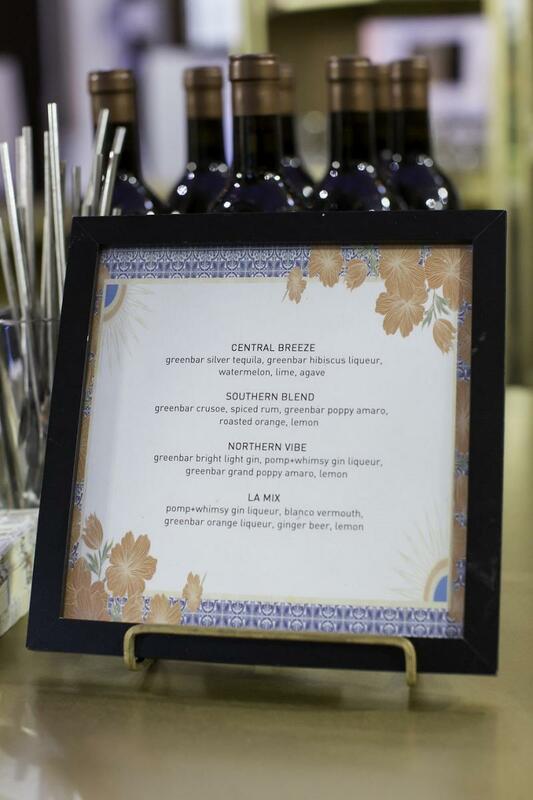 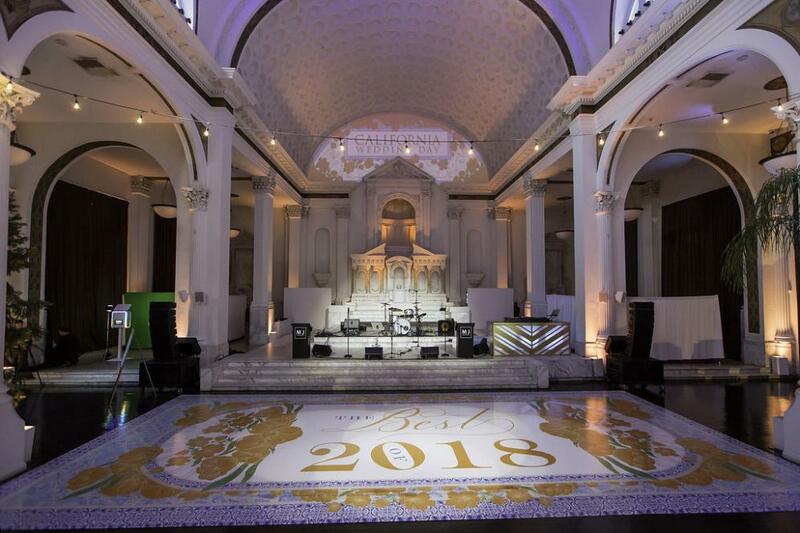 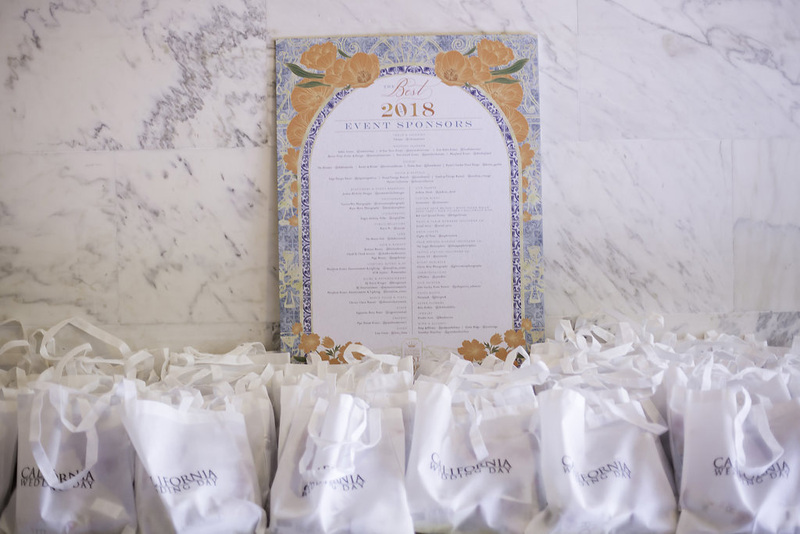 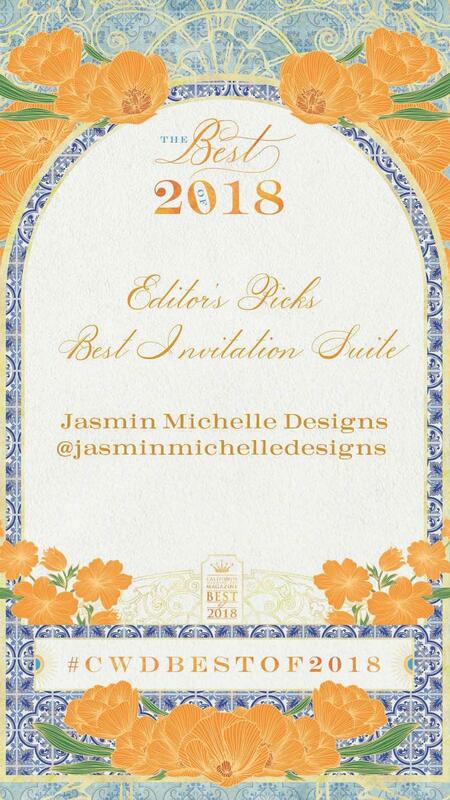 When coming up with the art and graphics for the Best Of 2018 Gala, luxury event invitations and brand design studio Jasmin Michelle Design (our Best Of 2018 Editor's Pick for Best Invitation Suite) embraced all things utterly Californian and steered away from the cliches. 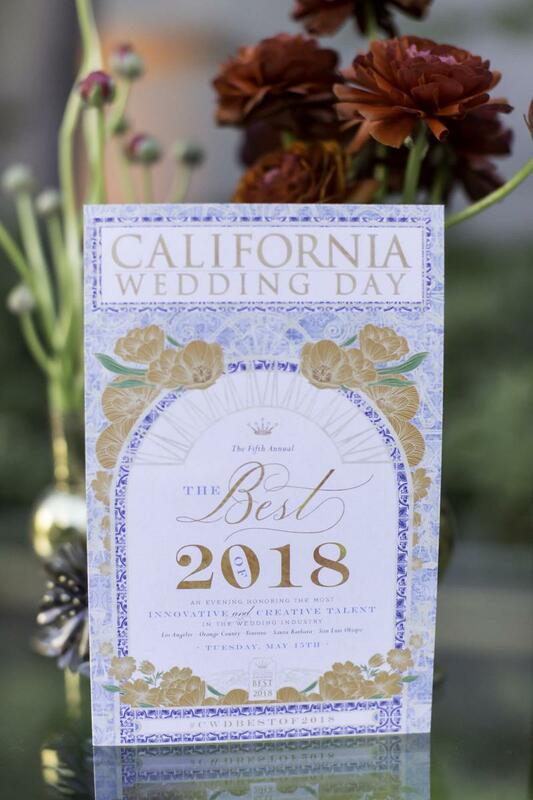 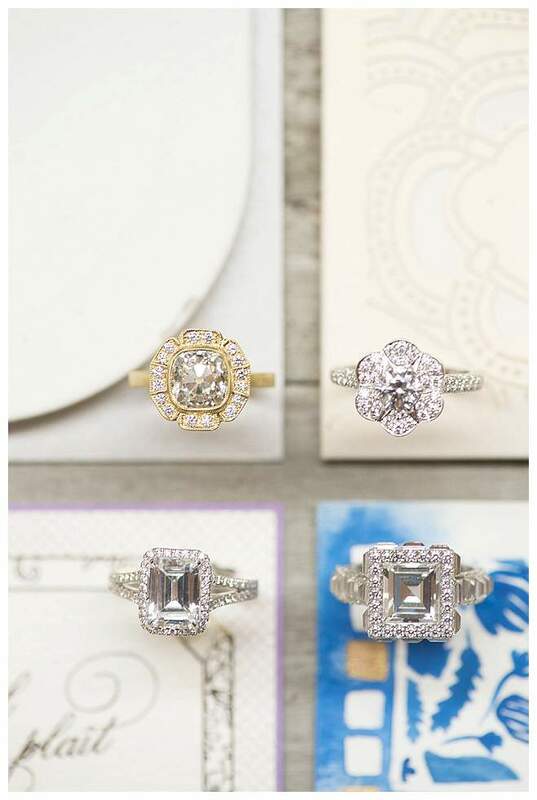 Taking into consideration what makes the Golden State so refreshing and unique, Jasmin drew inspiration from beautiful Spanish Revival architecture elements such as the tile work, wrought iron, archways, textures and vintage fonts. 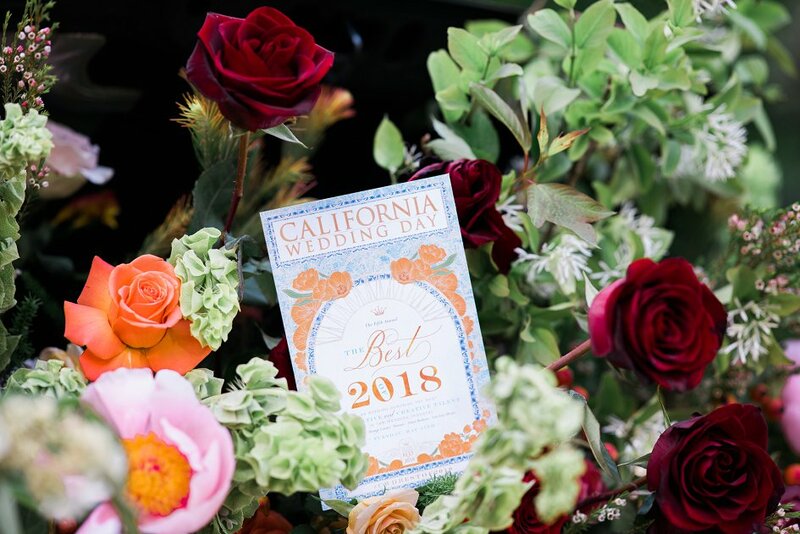 Additionally, she was inspired by craftsman home decor elements like painted glass art fixtures and used those to bring to life the bright orange California Poppy, the state flower. 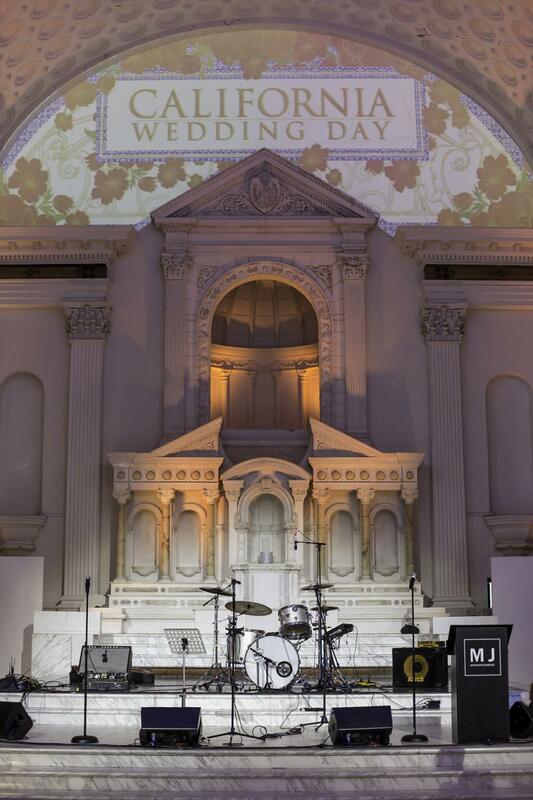 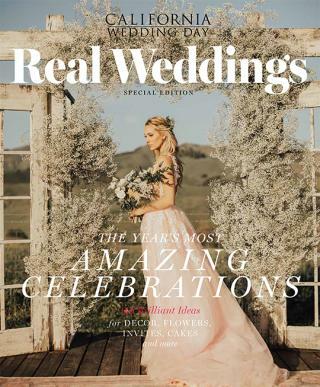 Everything from the invitations and menus to the altar projections and design on the dancefloor helped to bring this event to life.